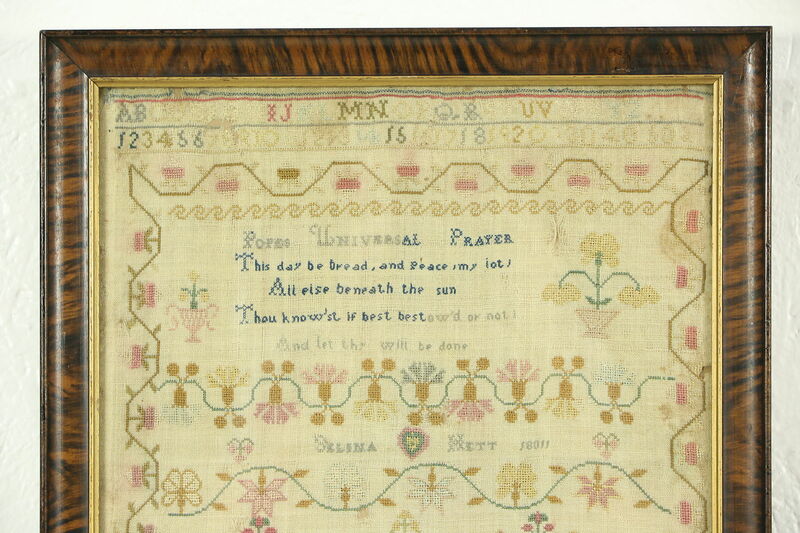 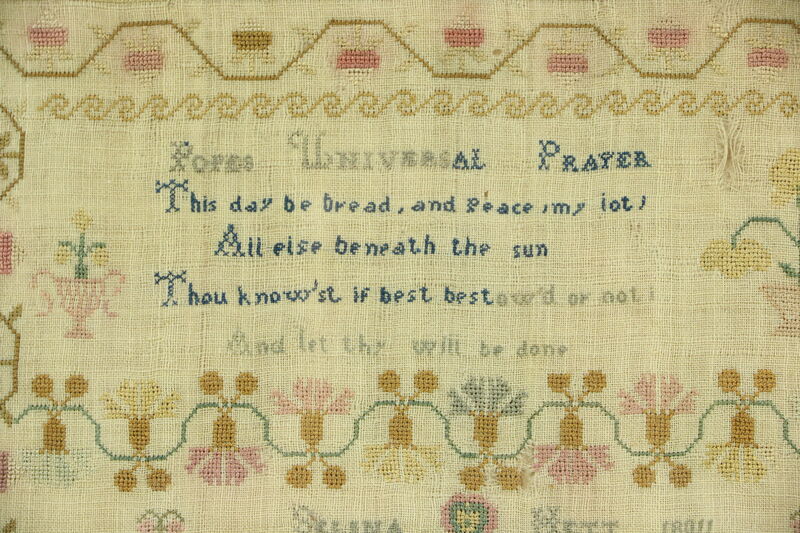 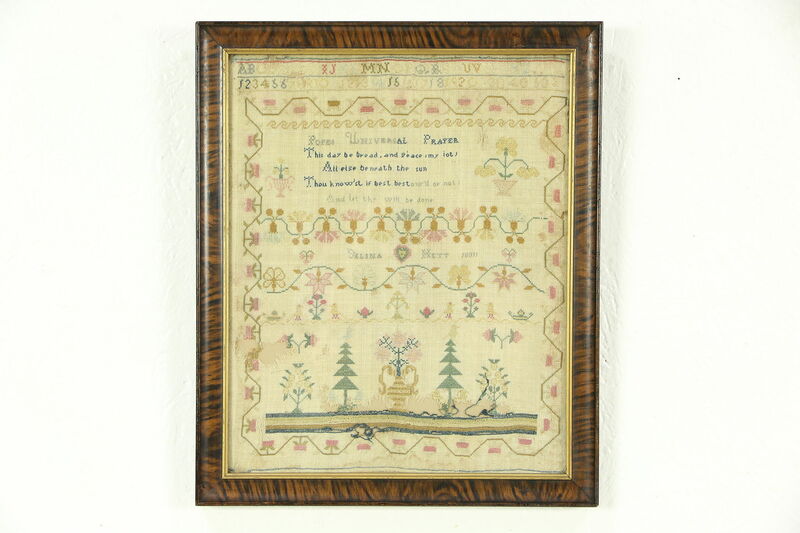 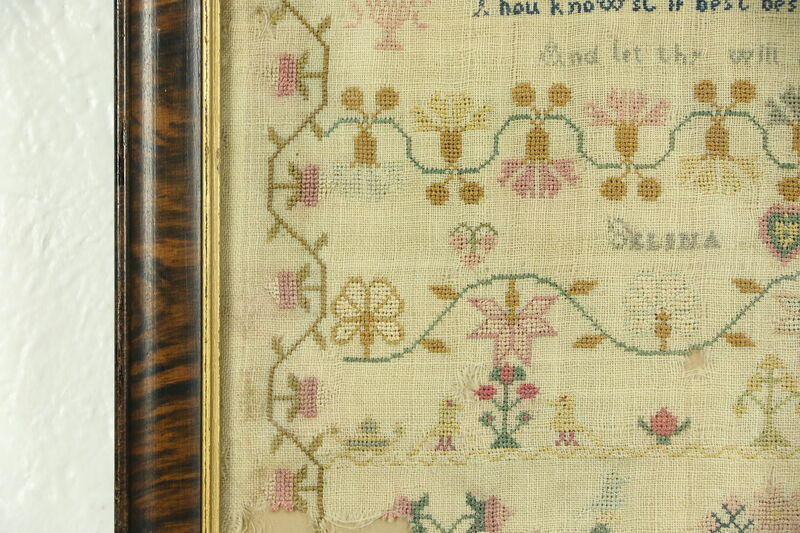 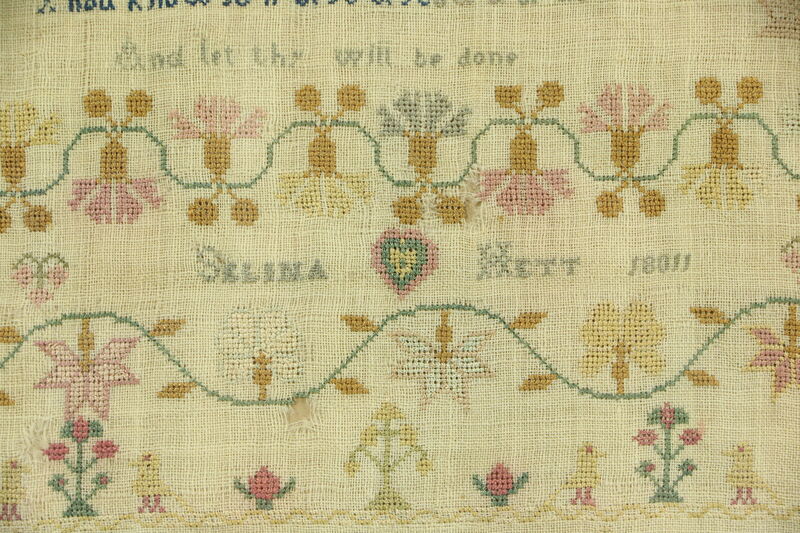 A hand stitched needlework sampler includes a selection from Alexander Pope's "Universal Prayer," and is signed "Selena Hett, 18(0)11." 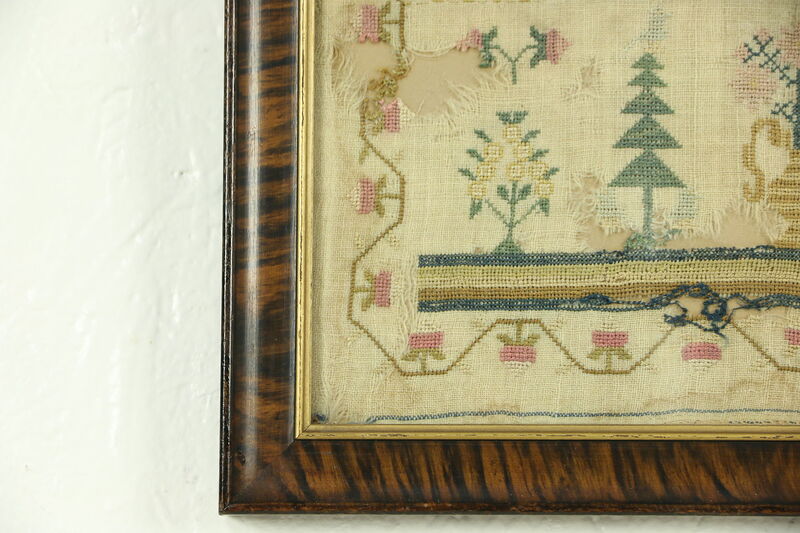 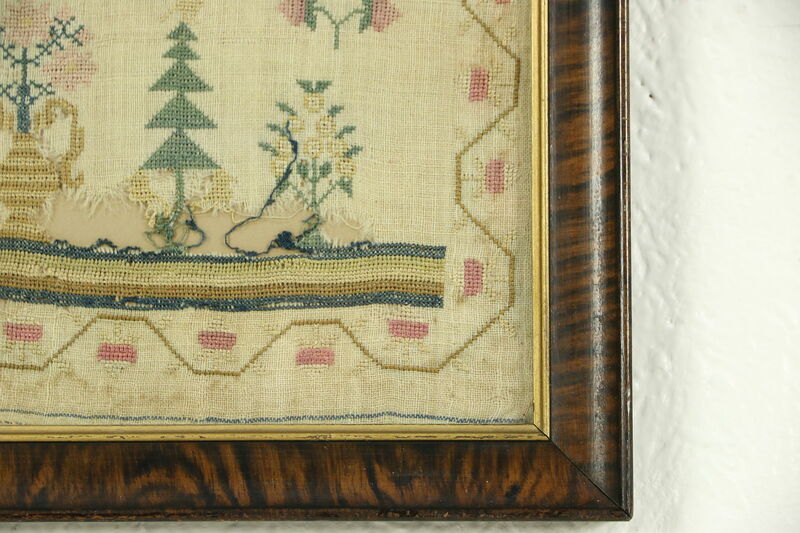 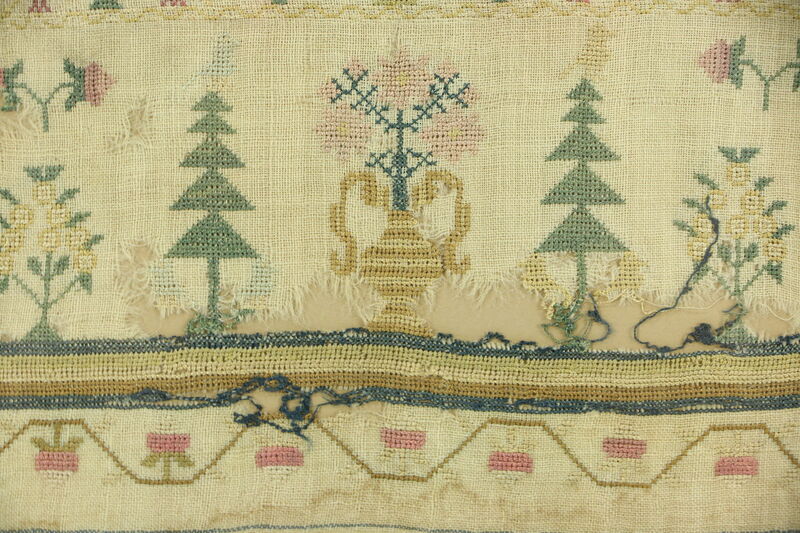 There is fading, stains and holes in this linen stitchery panel with themes of flowers and trees. 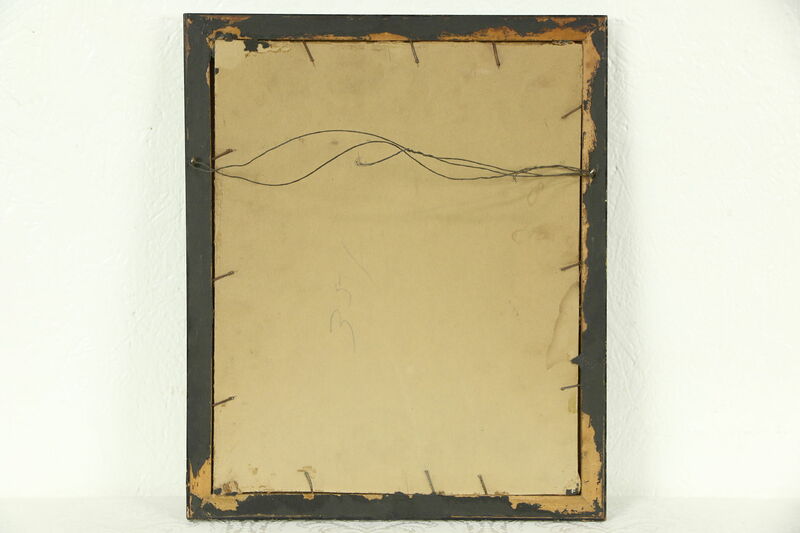 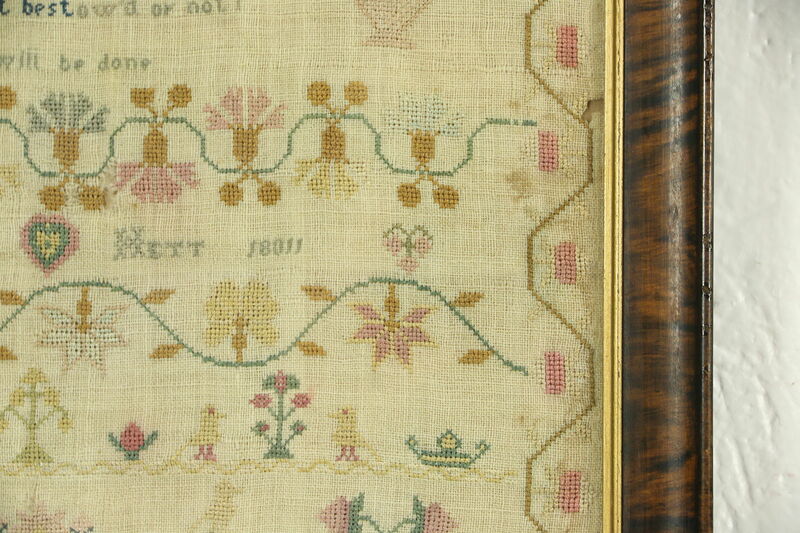 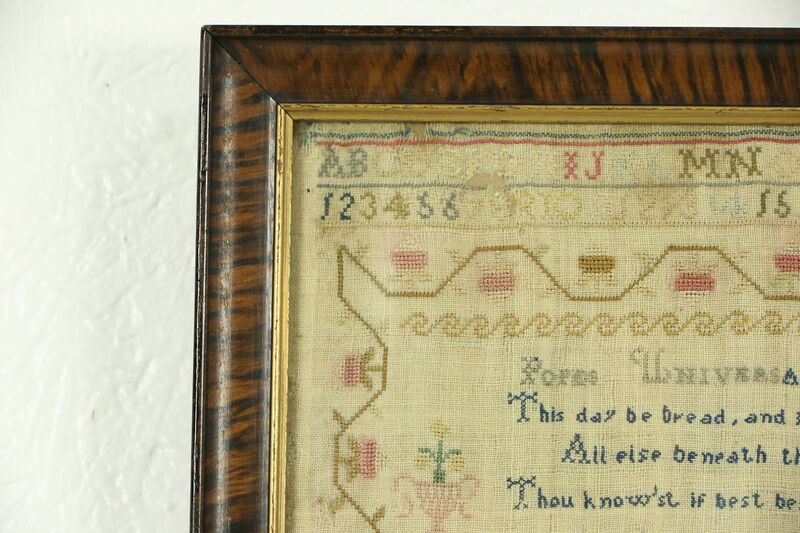 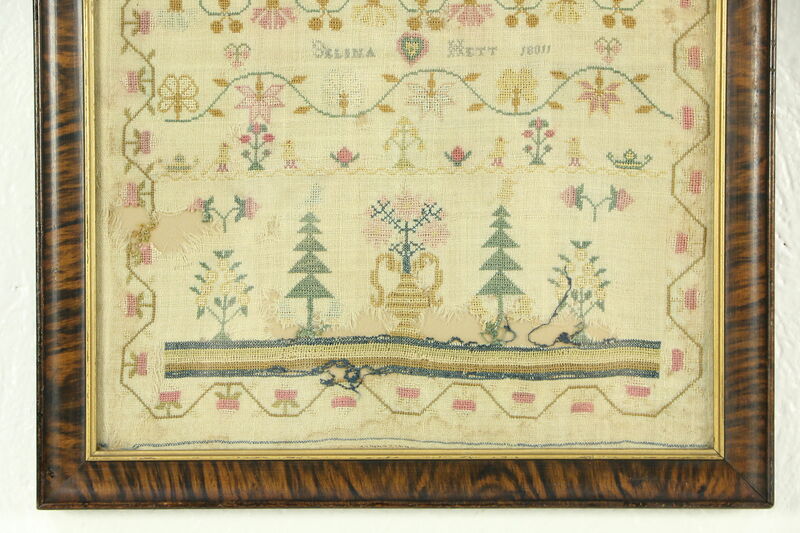 The frame is over 100 years old, but later than the sampler. 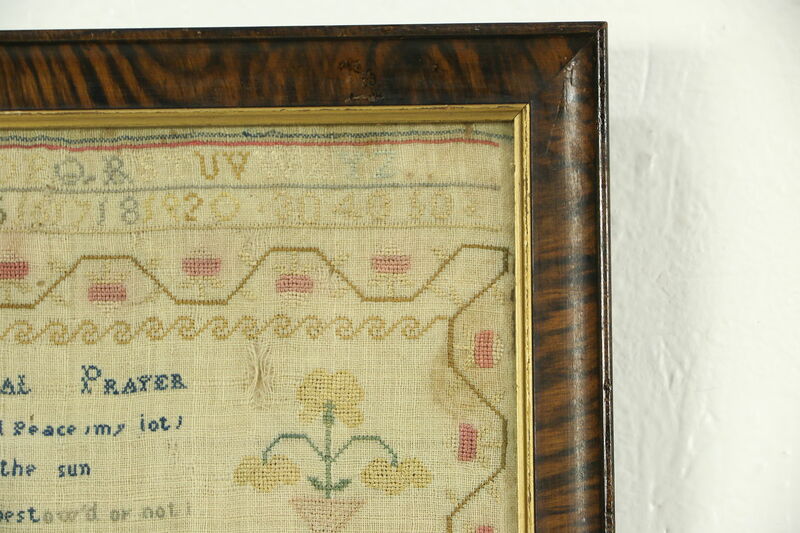 Overall size is 12 1/2" x 15" and 1" deep.